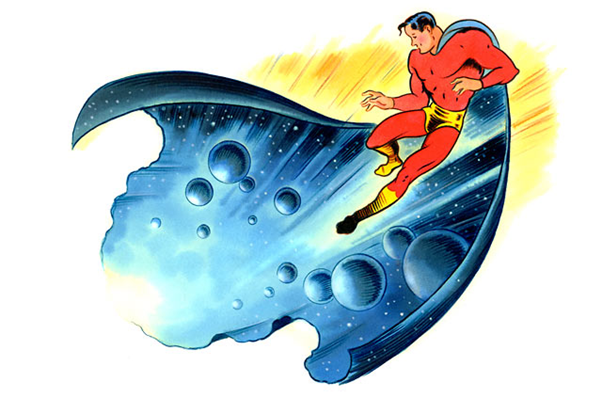 Posted on October 12, 2017 by thelostlighthouse	in Comics, Literature and tagged Broken Icon Comics, comics, comics reviews, Dante, death race, demons, greasers, hell, horror, indie comics, Literature, Russ Lippitt, The Lost Lighthouse, The Showdown, TLL, Tony Guaraldi-Brown, vampires, Wacky Races, werewolves, Zombies. Its Halloween soon, so this week I’m reviewing The Showdown Volume 2, the follow up to the indie comic from Broken Icon Comics that I reviewed back in 2015. 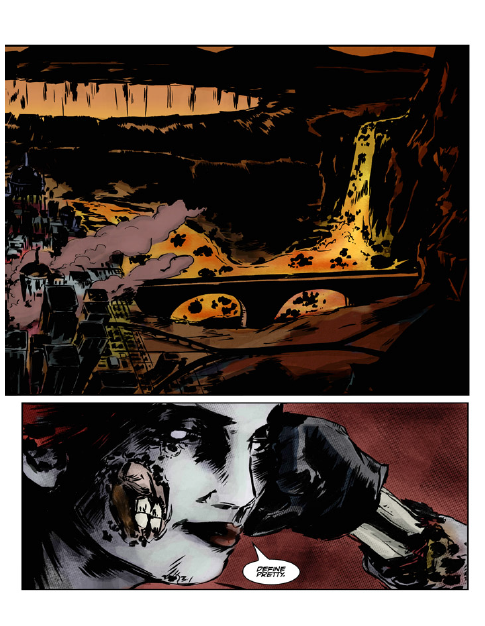 The Showdown was created by Russ Lippitt, with illustrations by Ezequiel Pineda and colours by Nae Esteban. In the depths of hell, once a millennium, The Showdown takes place, a brutal death race which draws the attention of every monster in the underworld. Vampires, werewolves, zombies, skinheads and demons all fix up their cars and roll up to the start line, eager for a chance to make it to the finish line first and claim the grand prize – the chance to raise hell on earth once more. 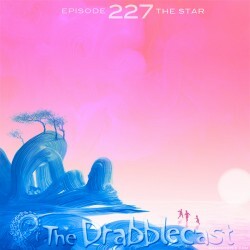 In Volume 2 the race is in full swing, and Lippitt wastes little time in whittling down his cast of characters. Across the layers of hell, teams who get a little too close for comfort start brutally eliminating each other, either through wrecking vehicles or direct slaughter. The Dead Belles face off against killer clowns, the Hell Howlers try to fend off the Rompers, and the skeleton Bone Crusaders creep ahead of the Marauders. But who will make real progress in the race, and who won’t make it to the end at all? After a first volume that was largely set up, this is high octane action from the get go, with plenty of surprises along the way, including match ups not playing out quite how you would expect and the arrival of a late contender that is pretty audacious and shocking. The story continues the atmosphere of a crossover between Wacky Races and Mad Max, with a dose of campy horror thrown in that is very enjoyable. 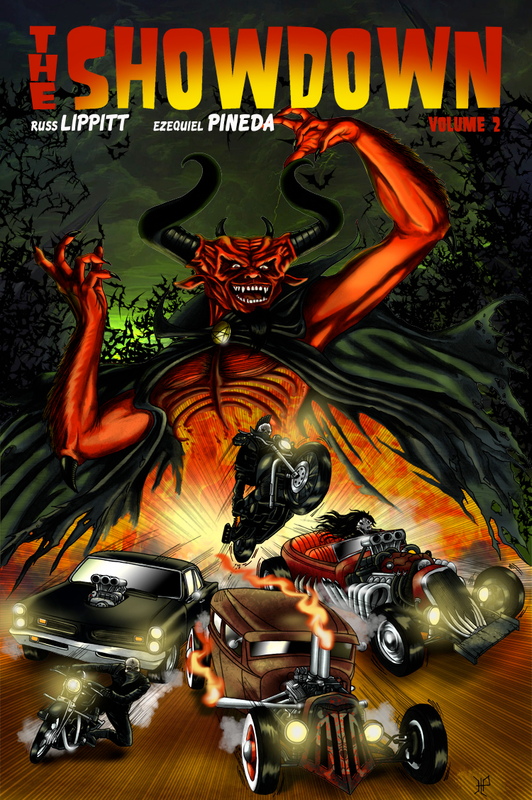 Pineda’s heavy and oppressive style fits right in with the world created in Volume 1, with the various hot rods and vehicles speeding through the various layers of hell, and haunting looking creatures and monsters. There is a level of camp horror that is brought out in the art too, which helps underline a book that definitely doesn’t take itself too seriously. The colours from Esteban fill the dark and depressing world of hell out, with the sharp contrast of bright hellfire and colourful monsters making the dreariness appear more real. The Showdown. Volume 2 currently has a Kickstarter, with just over 2 weeks remaining, so go check it out here! Posted on December 7, 2015 by thelostlighthouse	in Board Games, Gaming, The Tabletop Project and tagged dice game, pub game, push your luck, Steve Jackson, TLL, tllgaming, Zombie Dice, Zombies. Today, one of our dedicated fans, Sam Phillips, lets us know his thoughts on a classic game he’s recently picked up. Everyone loves zombies and I’m no exception. So when I spied a game combining them with a gambling-dice-mechanic I was hooked! Zombie dice puts you in the shoes of the recently undead. You hunger for soft, delicious brains and the aim of the game is to eat 13 victims before your shuffling brethren. 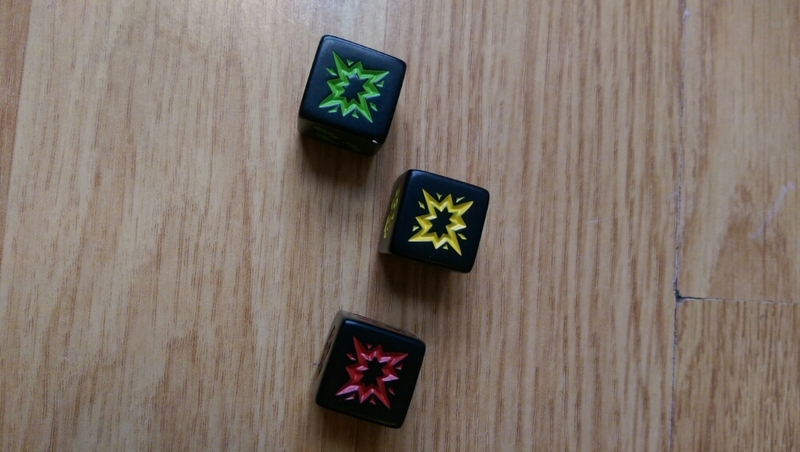 I found the game is best played in a small group, each player takes turn to roll three of the specially marked zombie dice. 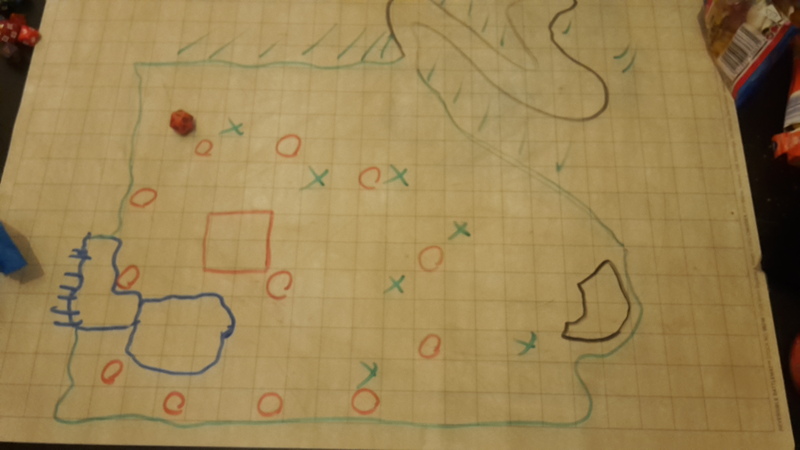 The player then chooses to score the brains consumed (rolled) or hunt more fresh meat and roll another trio of dice. Annoyingly (for you) your intended meals aren’t helpless and come equipped with shotguns, a roll that leaves you with three blast symbols ends your turn without you being able to score any brains previously eaten. Zombie dice is the perfect pub game. The rules are simple to understand and teach, the game itself is compact enough for a pocket and the zombie theme won’t mark you out as a total loser if you’re one of those closet nerd types. that friend who you wish to drag further into the rabbit hole we call geekdom. Posted on October 1, 2015 by thelostlighthouse	in Comics, Literature and tagged Broken Icon Comics, comics, comics reviews, Dante, death race, demons, greasers, hell, horror, indie comics, Literature, Russ Lippitt, The Lost Lighthouse, The Showdown, TLL, Tony Guaraldi-Brown, vampires, Wacky Races, werewolves, Zombies. This week I’m reviewing The Showdown, an indie comic coming up this month from Broken Icon Comics. Volume 1 was very kindly sent to me by its creator, novelist Russ Lippitt. Joining him on The Showdown is illustrator Tony Guaraldi-Brown, with colour assist from Jeremy Rodriguez and Jessica Lippitt editing the book. In this first volume we are introduced to several of the teams as they gather for The Showdown. The diverse range of monsters and their rides are really interesting, from the greaser ‘500’s’ and the ‘Dead Belles’ to Samhain’s ‘Mischiefs’ and the terrifying looking brother-sister team ‘The Freak’. Fights and threats are thrown around both on the night before the race and as the chequered is waved to start things off, but between two lovers, Stitch from the 500’s and Betty from the Dead Belles, there is also a promise to each other, despite the disapproval of their team mates. I think the most impressive aspect of The Showdown is the groundwork that has gone in to this first volume, a set up for when the actual race begins in the next part. Lippitt quickly introduces an array of different characters, teases their motivations and ultimately makes it easy for the racers to seem a little less two dimensional when it comes to the actual Showdown. The general approach of the story and atmosphere feels something like a mash up of the Wacky Races, Mad Max and Hammer Horror, resulting in a unique plot that was very enjoyable. Guaraldi-Brown’s art is heavy and rough, giving an oppressive style to the book that makes the air of hell feel thick and hot. The designs of the different characters and vehicles are fantastic and really helps to sell the rich variety in the teams that Lippitt has come up with. 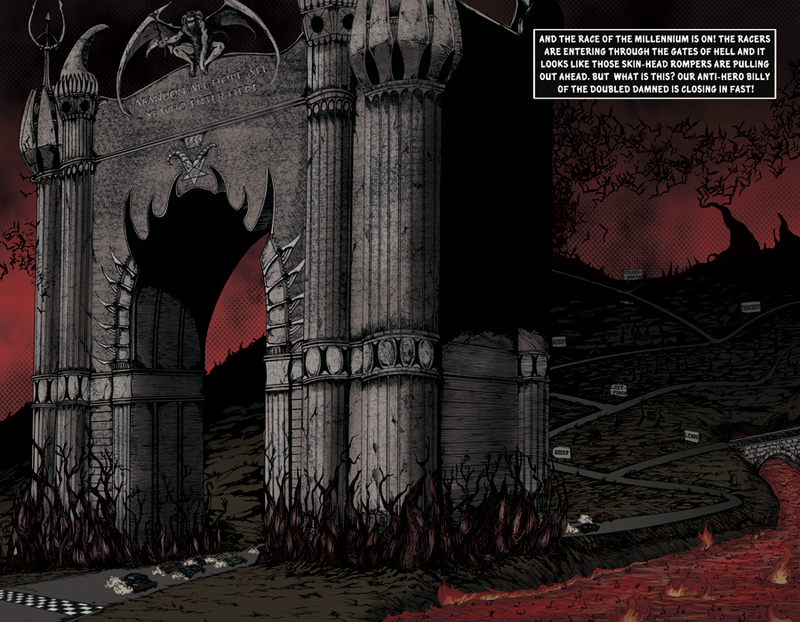 The colour work complements all of this with a subdued and dark palette, providing a dirty, grungey looking book that really captures Dante’s vision of hell with a added punk aesthetic. As a set up for what is to come, volume one of The Showdown is a success, and left me eager to find out what will happen when this death race kicks off. The book currently has a Kickstarter to fund Volumes 2 and 3 that ends in 4 days, so go and have a look at that now, where you can find out more about the plot and check out some more of the art. Posted on June 1, 2015 by thelostlighthouse	in Comics, Literature and tagged Chris Hartmann, comic review, comics, Dave Mimms, Hound Comics, indie comics, Literature, Marvel Zombies, super humans, superheroes, supers, The Infected, TLL, Zombies. Zombie style viruses: the sort that turn a person into a mindless flesh eating monster. Superheroes: People who have transcended humanity in some way and fight for a better and brighter future with their new found powers. Mixing these together can prove a hell of a lot of fun! Many of you may have read the Marvel Zombies, if you haven’t and you like zombies then you should get to that immediately! But it’s not just the big names in comics that get to have all the fun. Today I’ll check out The Infected by Chris Hartmann and Dave Mimms. So looks like a Walking Dead, drop you in the action approach and seems your average Joe can’t be infected so it has the humans vs. super humans spin on it. So, concept score – as this is covering familiar ground for me this will need to take things in a fresh direction, if it can do that then this could be great. 7/10. So interesting idea, but need to add something new. Time to see if it can deliver. Our hero is Jacob. The first issue focuses on him waking up in the middle of the city in chaos and trying to work out what’s going on. The first half of the comic has him trying to work out what’s happened, whilst other character’s provide exposition to him. Going with the amnesia approach I can see why they did this. The thing is as a reader I just had all of this explained to me on the first page, so it just feels like unnecessary repetition here. Either loose the summary or skip in character exposition, have it explained off screen and give us a bit more plot. 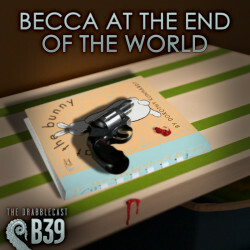 Jacob joins up with John ‘Freedom’ Winters, some kind of lone vigilante, who saves Jacob from being gunned down by the National Guard and they find a spot to hide crash for the night. Some of the exposition Freedom gives seems to contradict itself so I can’t say the world is making a huge amount of sense here. So, plot score – I can see what you’re trying to do, but half the comic could have been put to better use and some of the exposition makes no sense. 3/10. Jacob – Doesn’t seems to have much going on for him to be honest. He’s a bit of a blank slate. He’s suffering from amnesia but not much personality really shines through otherwise. I think what sums it up is I can’t really add much more to his personality than this. He’s boring. 2/10. Character score – Only these two really had much going on in this issue so I’ll average their scores: 3/10. The art is interesting. A lot of detail has been squeezed in, some of the proportions of facial features and the characters themselves seem a little skewed. However that seems deliberate. It adds to the feeling that by now there won’t be many ‘normal’ people left. The front cover looks cool as well and certainly grabbed my attention. There is one bit where a monster appears out of the blue, which seems a little ridiculous when you look at the size of the thing. But to be fair that may be a plot issue more than an art issue. Still, the art is one of the strong points of this comic book. Art Score – 7/10. Overall, The Infected is OK. The idea behind it works and it looks good, but the first issue lacks substance. The characters weren’t engaging and the plot lacking. There is potential to turn this into something great I think, but maybe calling this one a first draft and having another go may be the best approach. If you want to support a more indie publisher and writers and enjoy this sort of thing then check it out. Final Score – 5 Freedoms out of 10.